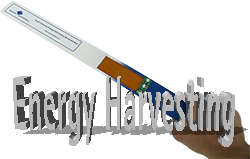 A energy harvester conditioner specifically designed for the MFC P2 type products. The CL-50 is the first of a line of Conditioner products designed to match the impedance, output voltage range and harvested energy (electric charge) of the MFC P2 type family for maximum efficiency. THe EH300/EH301 Series EH Modules can accept energy from many types of electrical energy sources and store this energy to power conventional 3.3V and 5.0V electrical circuits EH300/EH301 Series Modules are completely selfpowered and always in the active mode. 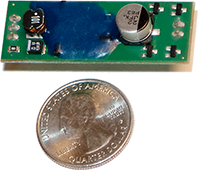 They can function with instantaneous input voltages ranging from 0.0V to +/-500V AC or DC, and input currents from 200nA to 400mA. Harvested energy can be collected from sources that produce electrical energy in either a steady or an intermittent and irregular manner with varying source impedances.